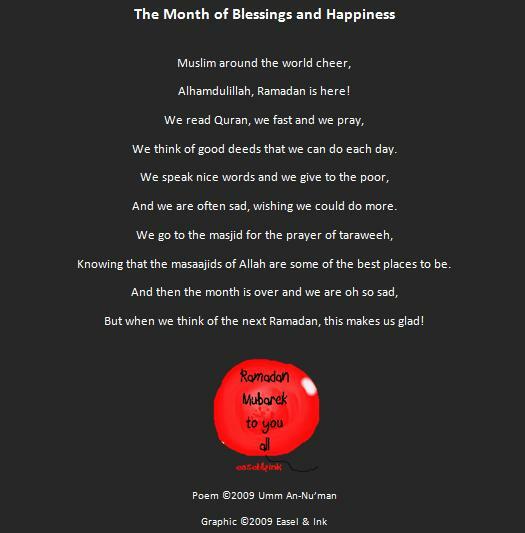 Do you remember that we said we'd be posting Ramadan poems and providing some ideas about how to use those poems? Well, we didn't forget about them alhamdulillah, but it's been busy over here! (smile). Alhamdulillah, this post will be the beginning (and maybe the end because Ramadan is only 9 days away insha'Allah!) of Ramadan poetry ideas and activities insha'Allah. Here are three poems that you can use along with the activity suggestions that you can download here insha'Allah (or just read them at the end of this post insha'Allah). You can download the print version of the poems here insha'Allah. 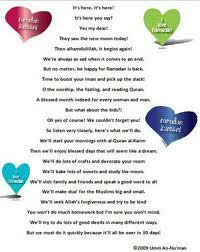 Here are some ideas of what you can do with these Ramadan poems (and others of course) insha'Allah. Activities – What We Can Do With These Poems insha’Allah. Make a Ramadan Gift Card for a family member or a friend; attach the card to your gift insha’Allah. Make a Ramadan Poster showing all of the things you love about Ramadan. Make a Ramadan poem book. 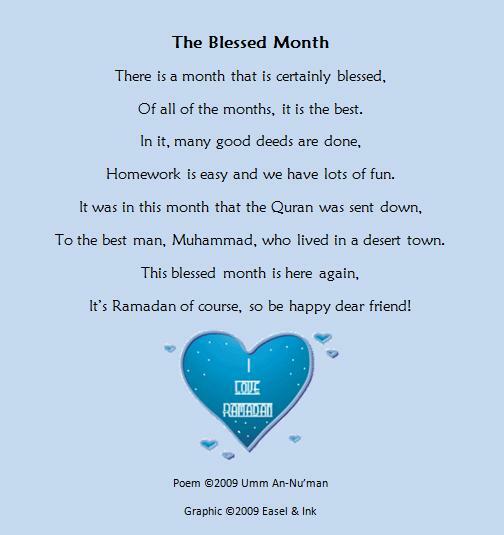 Collect, write, and illustrate different poems about Ramadan and make a book to give as a gift or to keep insha’Allah. Make a Ramadan Poem magnet and stick it on the refrigerator insha’Allah. jazakillahu khayr for your kind words. Indeed, all of the Praise and Thanks is due to Allah Alone. Alhamdulillah, you enjoy the resources (smile). Ameen to you duaas sister. Ramadan Mubarak dear sister! As salaamu alaykum. The poems are beautiful, masha Allah. Alhamdulillaah. 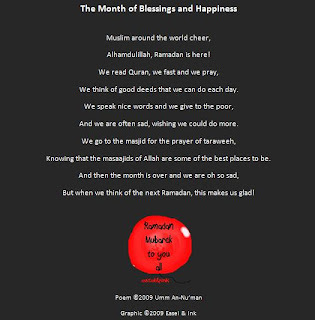 Jazakallaahu khayra and Ramadan Mubarak!